Portrait of Lord Byron by Thomas Phillips, 1813. 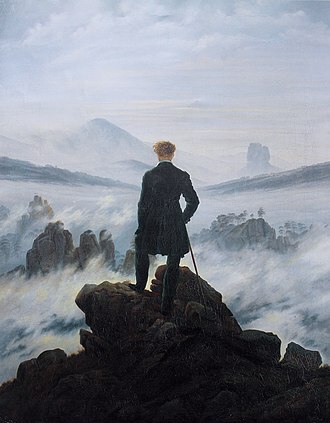 Painting by Caspar David Friedrich. Sculpture dedicated to Bécquer in Sevilla.